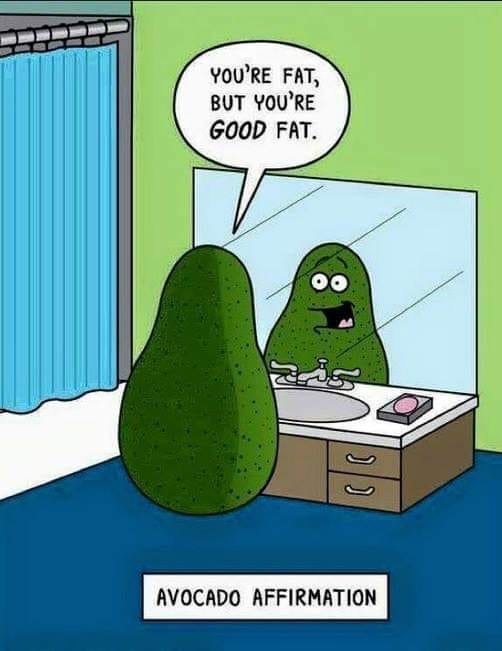 When thinking about nutrition and eating healthy, many people do not think of fat as part of the equation, but it actually plays a vital role. Healthy high-fat foods are beneficial and actually necessary for the body to aid hormone function, memory and the absorption of specific nutrients. In this blog we will touch on some of the more common recommendations for healthy fatty foods that should be a part of your diet. Monounsaturated and polyunsaturated fats are commonly referred to as good fats. These fats are good for your heart, your cholesterol and your overall health. By incorporating these fats into your daily regimen, you can help to lower the risk of heart disease and stroke, lower bad LDL cholesterol levels, increase HDL or good cholesterol and prevent abnormal heart rhythms. Monounsaturated and polyunsaturated fats also play a role in lowering triglycerides associated with heart disease and inflammation, lower blood pressure and prevent atherosclerosis, the hardening and narrowing of arteries. Avocados are high in a monounsaturated fatty acid called oleic acid, which is believed to provide several health benefits. Research suggests that oleic acid acts as an anti-inflammatory and may play a role in cancer prevention. Studies on animals indicate that avocado oil protects against heart disease and diabetes. Try adding avocado to salads or as a substitute for less healthy saturated fats, such as mayonnaise and butter. Keep in mind that they are pretty high in calories, so you generally want to stick to no more than 1/4 an avocado at a time. If you have social media or have spent any time in the box you know that Amanda and Dave love their pistachios and other nuts. Nuts like pecans pistachios, cashews and almonds are packed with healthy fat. All you need is 1/4 cup serving per day. Nutritionists love pistachios because the time and effort needed to remove the shell forces you to eat slower and naturally controls portion size. Pistachios contain lutein and zeazanthin which are important for eye health and almonds are rich in vitamin E. In addition to being a heart-healthy fat source, nuts are a good source of dietary fiber and have a variety of vitamins and minerals and are among the best sources of plant-based protein. Studies show that nuts have many health benefits. Another way to get all the fatty goodness of nuts is from a nut or seed butter. Try almond, cashew, or sunflower seed butter for a plant-based dose of monounsaturated and polyunsaturated fats. All you need is 2 tablespoons. Spread it on toast, or eat it with fresh apple slices. Choose all-natural nut butters with as few ingredients as possible. Polyunsaturated fats, found mostly in vegetable oils, help lower both blood cholesterol levels and triglyceride levels. One type of polyunsaturated fat is omega-3 fatty acids, whose potential heart-health benefits have gotten a lot of attention. Omega-3 fatty acids are especially beneficial to your health. This polyunsaturated fat is broken into different types EPA and DHA found in fish and algae, having the most health benefits, and ALA which is plant based and is less potent. According to the National Center for Complementary and Integrative Health, Omega 3’s are believed to relieve symptoms of rheumatoid arthritic and reduce triglycerides in the blood. Other research as shown that a diet rich in omega-3s may help prevent or reduce depression symptoms, ADHD and bipolar disorder. These fatty acids also help protect against memory loss and dementia, reduce the risk of heart disease, stroke and cancer and battle fatigue and mood swings. Fish, fish and more fish. The American Heart Association recommends eating 2 servings of fatty fish each week. Options include fresh tuna, salmon, mackerel, sardines, herring, and trout. Fatty fish is packed with unsaturated and omega-3 fatty acids that play an important role in heart and brain health. Chia seeds have long been raved as a weight loss miracle worker. If you have ever planted or gotten chia seeds wet, this is pretty self explanatory. When consumed, it is believed that chia seeds will expand and give you a feeling of being full without all the extra calories. Chia seeds, which are incredibly small are jam packed with nutrients. Only one ounce of seeds contains over 8 grams of fat and most of that is made up of omega 3 fatty acids. Chia seeds also contain antioxidants, fiber, protein, iron and calcium. A 2014 study suggests that chia seed flour can lower blood pressure. Try soaking chia seeds or adding them to smoothies to give your body a power punch of nutrients in a compact package. If you aren’t able to get enough omega-3’s through your diet, there is the option to take supplements. As with all supplements, obtaining the nutrient naturally through food is always the best option. Omega-3 supplements usually come as a fish oil capsule and can be tough to stomach. A helpful tip if you do have to take the supplements is to freeze the pill prior to taking it to lessen the fishy aftertaste. The fats to avoid are saturated and trans fat. Research reported that saturated fat had a negative impact on cholesterol levels and heart health, while newer research suggests that saturated fat may not be as harmful as it once was thought, most professionals agree that it should be limited and when possible replaced by healthier options. Foods rich in these substances, such as butter and lard, are often solid at room temperature. Artificial trans fats, commonly listed on ingredient labels as partially hydrogenated oils are extremely unhealthy. They trigger inflammation that can increase the risk of heart disease, stroke and diabetes. Even just 2 percent of your daily calories being from trans fat can increase the risk of heart disease by 23 percent!!! Common trans fat products include fried foods, frozen pizzas and pies, baked goods and margarine.